It would be great from a business perspective if my characters stayed static throughout the course of a long series of novels. Adventure after adventure could follow in the endless timeline of a cast from whom the audience knew just what to expect. From the standpoint of realism and plausibility, of course, that’s not how things happen in the Dale Amidei universe. Jon’s Trilogy is an example. His three titles took things, it seemed to me, as far as the character was going to go. When they finished, I had the distinct impression it was time to let Doctor Jon go back to a normal life … as normal as it could be remaining in association with Deborah Vosse, Daniel Sean Ritter, and eventually Boone, anyway. Those are different stories and ones we will address here eventually, God willing. Ritter has Sean’s File, which is the man’s story from age nine onward. Growth there is a natural part of his continuing exposition. Portraying the change of the same person across years is possibly a factor leading to many readers designating him as their favorite character. That the man appears in every one of my novels to date likely says something about my personal attachment to the Colonel as well. Boone’s File was meant to be a story of change from the beginning, where perhaps previously it was engineered out of a commitment to plausibility. My bio has always stated that I write in the real world, with real-world language and violence (and, when appropriate to the storyline, sexual situations). Constructing tales where the reader may easily suspend disbelief means persons appearing therein will change and grow. Every good guideline for storytelling says as much. With Boone’s third on the horizon, I’m able to reflect on her very satisfying development. She has character and romance arcs spanning the six novels in which she appears and which will, again if we are so blessed, be brought to market over the course of the next three years or so. Writing as I have has made her tangible for me, and the results comprise a wholeness I am so glad to have been allowed to witness before anyone else. Change should be embraced, not feared. In Professor Tolkien’s universe, the great failing of the rulers of Men in Numenor was the inability to accept their limited span. They envied the Uttermost West its Undying Lands, and so eventually brought ruin on themselves. As usual, though he denied any intent of allegory, with that theme J.R.R. Tolkien was portraying the essential link between valid faith and character. The philosophy necessarily entails accepting limitations for one’s characters as well. They will not operate at a peak level of efficiency through thirty novels. They cannot dispatch endless numbers of villains without paying the price of self-doubt and conscience. They are unable to avoid necessary pain inherent in living well. Embraced, such seems to have only produced added dimension to my work. My virtual people seem real to me because they have experienced stages of personal development I have observed in others, in persons both characterized and actual. From feedback so far, it seems others value the same effect to an even greater extent. 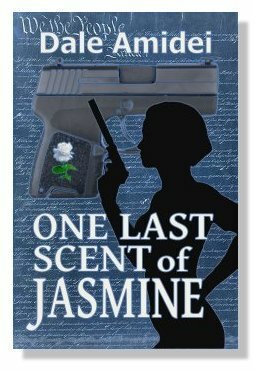 Boone’s third, One Last Scent of Jasmine, is now preparing to publish next month. The project has remained eminently satisfying throughout the process of bringing it forward. My longest novel prior to The Anvil of the Craftsman’s Revised and Extended Edition, it is, as described by the Editress, an amazing weave compiled into a great ending. Boone’s story goes on as of this writing, of course, but it will not always. I know it, and she knows it. Though neither of us has been graced with having seen that ending yet, it will be the process of living through to the end which neither of us takes for granted or fears in the least. This, as Tolkien intimated so well, is what the Powers require of the faithful, lest we lose vital hope to futile delusion whispering the world is otherwise. This entry was posted in Uncategorized and tagged Boone, Boone's File, change, character arc, Dale Amidei, Daniel Sean Ritter, Jon's Trilogy, Sean's File, writing. Bookmark the permalink.